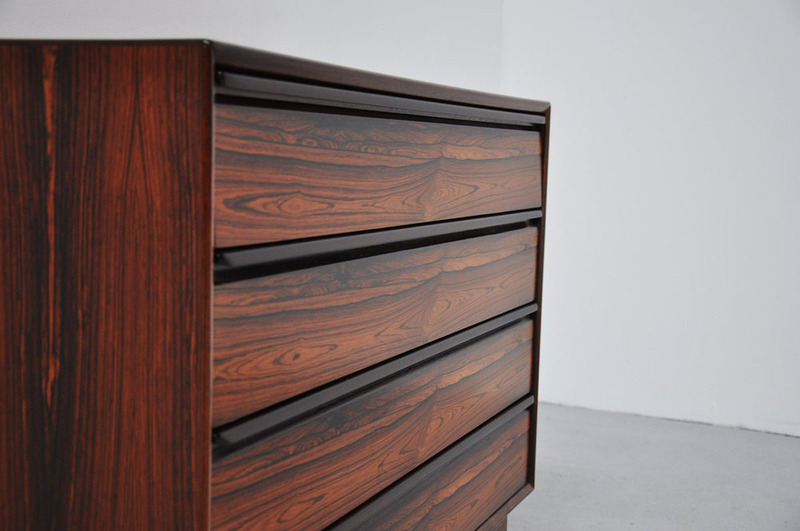 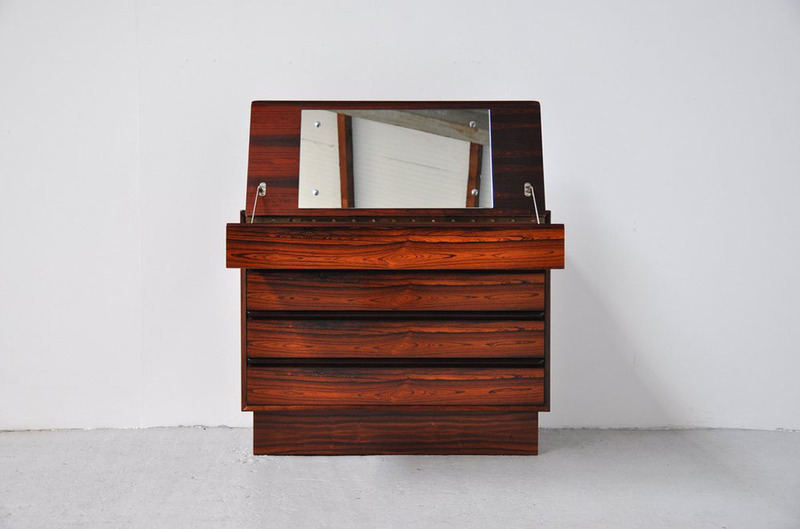 Fantastic rosewood chest of drawers, made by Westnofa, Norway 1960. 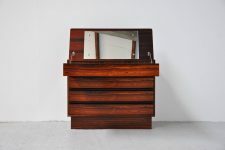 This is for a superb quality chest of drawers/vanity table with integrated mirror in the top drawer. 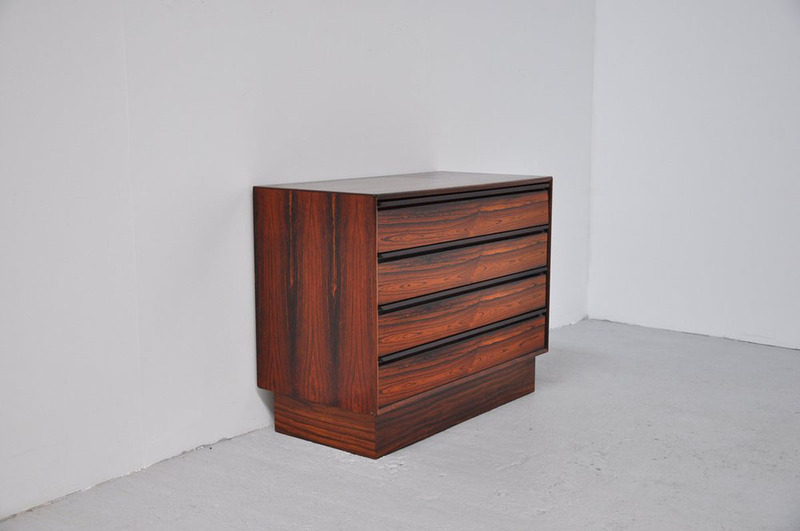 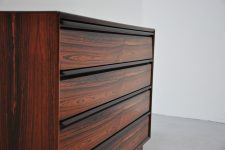 Veary heavy chest of drawers with a beautiful grained rosewood all over. 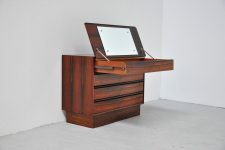 Hidden beauty table, super condition, perfect if possible.